MUNICH -- General Motors Co. will start selling cars under the Opel brand in China by the end of this year, Opel CEO Nick Reilly said in a newspaper interview. China will be Opel's first new global market, followed by Australia and two Latin American countries, Reilly told the Frankfurter Allgemeine Zeitung in an interview published Thursday. But Reilly, who headed GM's Asian operations in Shanghai before he became Opel CEO in November, has pushed for a change of strategy to reduce the brand's dependence on the stagnating European market, where Opel/Vauxhall car sales fell in the first six months by 4.5 percent to 536,258, according to ACEA, the European carmakers association. In an interview with Berlin's Tagesspiegel daily newspaper in May, Reilly ruled out exporting Opels to the United States because the brand's cars have too much overlap with other GM cars sold in the U.S., such as the Opel Insignia-based Buick Regal. In China, Opel could benefit from the strong image of German products and appeal to different buyers than GM's Chevrolet and Buick brands that are already sold in the world's largest auto market, he said. Reilly said Opel will have to remain a non-volume seller in China because it could not match the low prices that China's buyers generally pay. 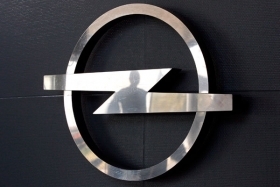 Opel cars will be sold through GM's existing dealers in China.